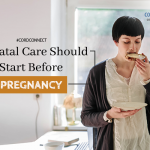 Home > Cord Connect > Pregnancy > 5 Amazing Ideas for Announcing Pregnancy on Mother’s Day! 5 Amazing Ideas for Announcing Pregnancy on Mother’s Day! The most delightful news of your life can be a time for springing a surprise on your near and dear ones. We present a few ideas for you to announce your pregnancy. So you’re pregnant. Congratulations! You probably can’t wait to announce your pregnancy, and you want your partner to be the first to know. But you don’t want to do it like they do in the movies: go all coy and announce that your partner is about to become a father. Instead, you can try something different and make the announcement as memorable as your happy news. Can’t think of how to tell the world about your pregnancy? Here are some amazing ways you can consider to bring out the ‘big news’ to your near and dear ones on this Mother’s Day. 1. Wear a T shirt that says ‘Baby on board’. This is a sure give-away and your friends and family will be thrilled to hear about your good news with a cheeky T shirt that announces the baby’s arrival. This is a great way to announce your happy news with humour, and it is sure to put a smile on the faces of absolute strangers as well. You can stick a ‘Baby on board’ car sticker on your belly and take a photograph to send to your parents and friends who live far away. 2. 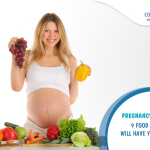 Give your partner hints about your pregnancy. Your partner is not clued in to the rhythms of your body sufficiently enough to detect that you may be pregnant. In fact, he is bound to get alarmed if he sees you vomiting or feeling tired in the early days. Surprise him with the happy news: prepare a gift bag with your positive pregnancy test result, a tiny onesie for your baby and a coffee mug that says ‘World’s best daddy’. Then hug him as he struggles to hold back his tears! 3. Send a letter to your partner and parents/siblings. Nobody writes letters anymore, so this idea makes your announcement really special. Write the words ‘I’m pregnant’ on a sheet of paper, and send your letters to your partner at his place of work, and to your parents and/or siblings at home. They will be perturbed to receive a letter from you, then thrilled at your news and amused at your sense of humour! 4. 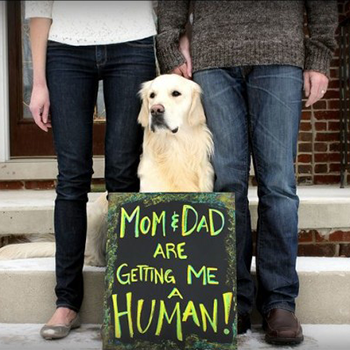 Announce that your pet is about to get a human sibling. If it’s just you, your partner and your pet at home, it’s time to tell the world about the new upcoming addition to your family. Log on to your social media accounts and announce that today is the best and happiest day of your life because your pet is about to get a human sibling. Your timeline is sure to get the meaning of your words at once and start congratulating you. 5. Say it with a banner. You may not know the gender of the baby till it is born, but you can still announce the happy event with balloons. Go to a store that sells party supplies and get banners that spells ‘It’s a boy!’ and ‘It’s a girl!’ Now place both banners one above the other, write the word ‘OR’ in between them and invite your closest friends and family members over for a celebration. They will walk into your home, see the banners, decipher their meaning and rush over to hug you. 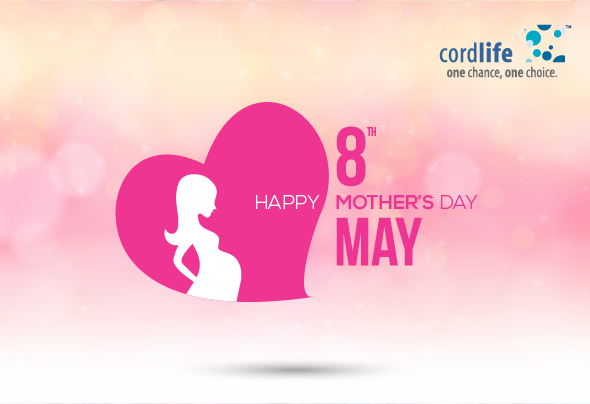 We wish you a very happy Mother’s Day and congratulate you on the miracle that is now blossoming in your belly. Pregnancy mothers day, pregnancy announcment. permalink.